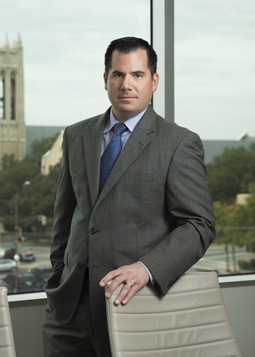 Ryan Logan Valdez represents clients at both the trial and appellate levels in complex commercial cases involving insurance coverage, fraud, employment, construction, and products liability issues. Represented major electric delivery company in easement dispute involving the placement of a private airstrip beneath a transmission line. Obtained permanent injunction following week-long jury trial and successfully upheld judgment on appeal. Fuqua v. Oncor Elec. Delivery Co., 315 S.W.3d 552 (Tex. App.—Eastland 2010, pet. denied). Defended Fortune 500 energy company in pipeline easement dispute. After hung jury was announced, obtained a take nothing directed verdict. Plaintiff chose not to appeal. Defended one of the three largest metal building insulation fabricators and distributors in the United States in breach of warranty and products liability lawsuit filed in the Northern District of Texas. Obtained partial summary judgment one month before trial leading to settlement. Represented Fortune 500 insurance company in coverage dispute involving claims of bad faith and violations of the Texas Insurance Code. Obtained take nothing summary judgment in favor of client which led to settlement. Defended corporation providing cold pasteurization services to the food and agricultural industries in fraud and breach of contract lawsuit brought by former officers and directors of corporation. Obtained a take nothing jury verdict. Defended former president of hospitalist company in violation of covenant not to compete, breach of fiduciary duty, fraud, and misappropriation of trade secret lawsuit. Settled lawsuit with favorable payment to client following temporary injunction hearing. Defended leading global pipeline equipment dealer in lawsuit seeking to overturn the purchase and subsequent sell of multimillion dollar pipeline equipment. Obtained take nothing summary judgment and successfully upheld judgment on appeal. Empire Equip. Intern v. Pipeline Machinery Intern., L.P., 2011 WL 754340 (Tex. App.—Fort Worth 2011, pet. denied). Represented former owner of wholesale and retail tire business when purchaser of business breached purchase agreement. Obtained summary judgment for $1.9 million on the eve of trial and successfully upheld judgment on appeal. Shin v. Sharif, 2009 WL 1565028 (Tex. App.—Fort Worth 2009). Represented certified public accountant in violation of covenant not to compete or solicit lawsuit brought by former business partner. Upheld summary judgment on appeal in favor of client. Pickle v. Johnson, 2011 WL 4345233 (Tex. App.—Fort Worth 2011). Serves as outside general counsel to mud company servicing over 14,000 wells throughout Texas, Oklahoma, Louisiana, Arkansas, and New Mexico. Licensed to practice law in Texas in 2002. Admitted to practice before the United States District Court, Northern and Eastern Districts of Texas. “Fun with Insurance Coverage Disputes. Really.” 21st Annual Texas Minority Counsel Program, Four Seasons Resort and Club Dallas at Las Colinas, November 6-8, 2013. “Intellectual Property, Copyright and Trademark Law – the Black, White, and Gray Areas of Intellectual Property Law and How it Protects and Impacts Your Business.” The American Institute of Graphic Arts – DFW Business Talk Series: Getting Down to Business, October 20 and 27, 2005.